Koula Charitonos is currently a research student at the Institute of Educational Technology in the Open University in United Kingdom. Her PhD research, funded by the Open University and Leventis Foundation, will be investigating the use of social media in museums for learning purposes. She has a strong interest in the link between education and culture and the role of technology in creating synergies between them. 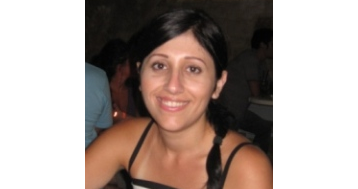 Koula holds a Bachelor of Education from Aristotle University in Thessaloniki (Greece) and an MA in Museum and Gallery Management from the City University in London and has recently completed a Master of Research Methods at the Open University. Copyright © 2010 – Archives & Museum Informatics.